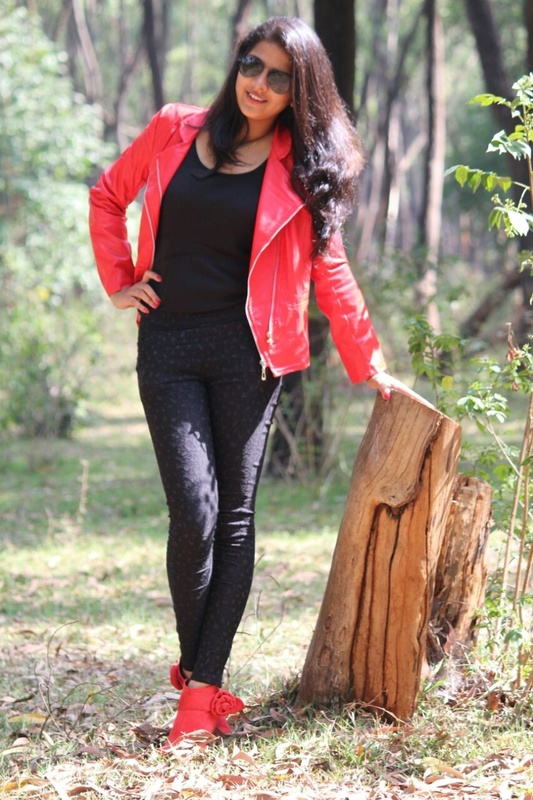 Today on our blog we feature one of our readers Namrata Metgud. 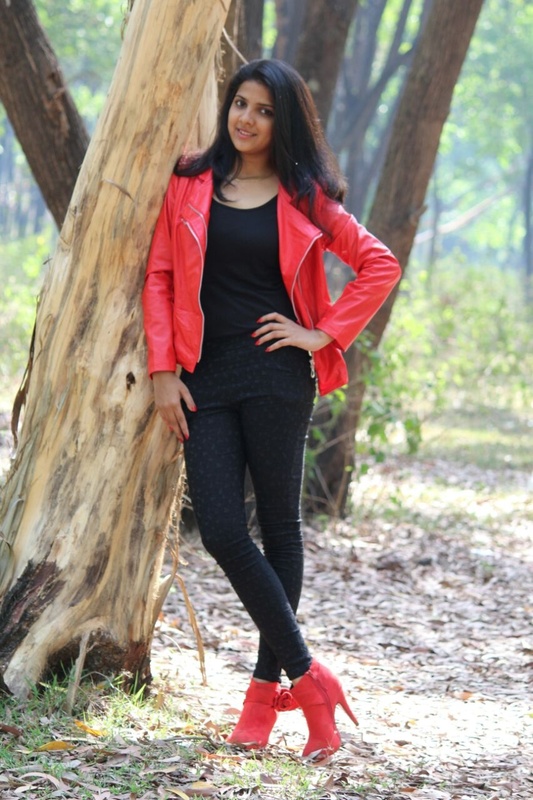 Namrata is from my home town Belgaum, Karnataka and her pictures reminds me of the 'younger me'. 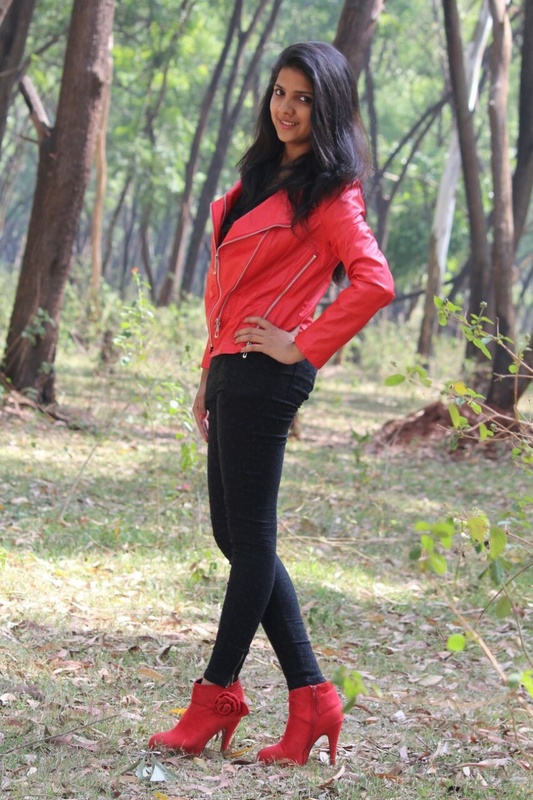 She is sharing her outfit post where she has styled her red jacket with sleek red boots. Red with red is always an attractive combination and she has managed to charm us all, with her flawless Looks and poses. Don't you agree?? I love the pictures and related fashion tips, mostly because it covers body issues. I like Ananya's styles she always comes up with something creative. she looks amazing. I so need to add more red to my closet. Red jacket is going well with black Tee and red shoes. Good one. I like the concept of featuring others in your blog. Red and black my favourite combo :). Love the jacket and her boots. She looks pretty. She has styled it well! She looks beautiful <3 Love the red jacket! Love the red shoe and the moto jacket! you look chic! Sorry for replying late! I was little away from my blog! Sure would love to follow each other!